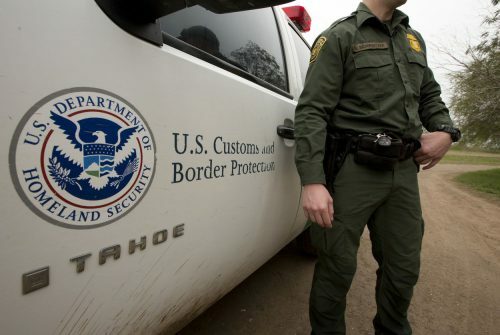 Last week, Customs and Border Protection Commissioner Kevin McAleenan said 750 Customs and Border Protection agents would be pulled from their regular positions at the ports of entry in El Paso, Laredo, Tucson and San Diego to assist Border Patrol. On Monday, Department of Homeland Security Secretary Kirstjen M. Nielsen told CBP to accelerate the reallocation and consider re-assigning more officers. The announcement is in response to a surge of mostly Central American families and unaccompanied minors crossing the border and seeking asylum. From Oct. 1, when the federal government’s current fiscal year began, through February, about 136,150 family units were apprehended on the southwest border — an increase of about 340 percent from the same period in fiscal year 2018, when about 31,100 families were apprehended, according to CBP statistics. The largest increase occurred in the El Paso sector, where about 36,300 family units were apprehended — a 1,689 percent increase from the same period last year, when 2,030 were apprehended. The move comes after the El Paso sector of the U.S. Border Patrol shuttered a temporary holding facility it erected last month under the Paso Del Norte bridge in downtown El Paso, where hundreds of migrants were held behind razor wire and chain link fencing and slept in a military style tent as they waited to be processed. It’s unclear whether the facility will reopen. Nielsen’s directive comes as the president continues to threaten to close the southern border in retaliation for what he says is Mexico’s unwillingness to stem the flow of migrants traveling through that country. He also announced over the weekend he plans to cut off U.S. aid to the Central American counties of El Salvador, Honduras and Guatemala unless they take steps to keep their citizens from migrating to the U.S. This entry was posted in KRTS News and tagged Border, Border Patrol, texas. Bookmark the permalink.